A lifetime separates Herbert Chapman’s death and the arrival on the scene of Simon Clifford: in that time, there was no innovation in British football. In fact, if you remove Chapman from the equation, the innovation-free period starts in 1888. So it’s vital to encourage innovation and risk-taking, the attempt to do something genuinely new, when it comes along. This is my warm welcome to Zuku, a British company who produce dietary supplements for footballers. Zuku’s founders are, like me, veterans of the London Borough of Sutton and Cheam, a place that only the hardest and best survive, and they’ve taken on British football at its weakest point: nutrition. Really, it’s about time. Even at top clubs, this area is still as much witchcraft or alternative medicine as it is science. Creatine entered British football via Glenn Hoddle in the late ’90s i.e. some time ago. Zuku’s Soccer Pro product is, in any case, far better suited to regular grass roots use, and that, in my opinion, is where it’s most needed. The demands of modern football are massive and today’s matches are played at an incredible pace and level of intensity. So many matches are decided in the crucial final minutes, when players are at their most tired. In the 2008/9 Premiership season, 185 goals were scored (or conceded!) after 80 minutes – that’s almost 20% of all goals! Oranges, cups of tea and even dolly mixtures have been used to try to invigorate flagging players at half-time. However, there is a more advanced option – Nutraceuticals. These are like ‘super vitamins’ and could revolutionize how modern football is played. So far their development has been held back by a lack of innovation, formulation difficulties and high production costs. Zuku’s Soccer Pro has been designed to help improve a footballer’s late-game performance. It could be described as the half-time orange for the 21st Century. Soccer Pro fits in with your existing match-day routine. It is packed in handy, single-use sachets that are easy to carry around. It’s really quick and easy to take, at half-time just tear open a sachet and eat the contents. Each sachet contains one match serving and the small, chewable tablets are fruit-flavoured and taste great. Soccer Pro has 3 main active ingredients: L-Theanine for focus, Coenzyme Q10 for power and L-Carnitine for endurance. These cutting-edge ingredients are totally natural and 100% safe for professional sports use. Soccer Pro helps you to focus and gives you the maximum benefit from your pre-match meal. It can also help fight the onset of muscle fatigue. Soccer Pro is the must-have match day accessory. Soccer Pro has been developed for use by professional footballers. It’s made in Switzerland to cGMP standards (current Good Manufacturing Practice) which is the level that pharmaceuticals are manufactured to. 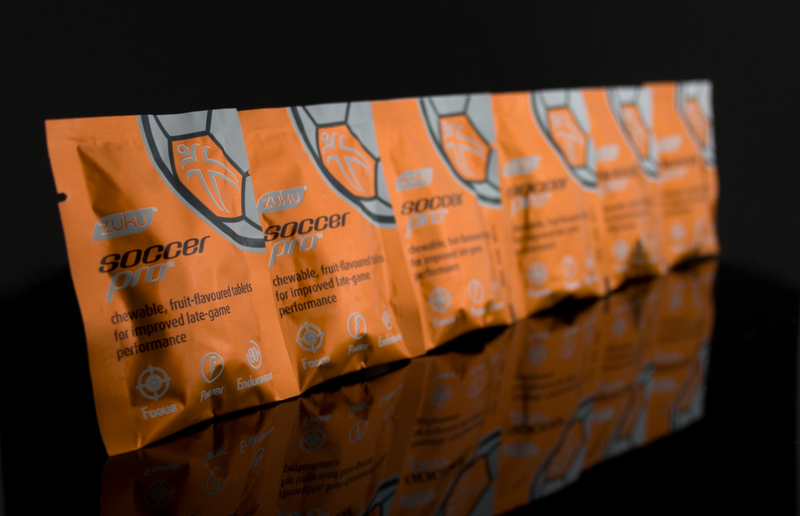 Soccer Pro’s ingredients are pure and fully traceable. It’s used by different levels of footballers ranging from keen amateur to full professionals. But any footballer would probably benefit from using Soccer Pro. It won’t turn a terrible player into Lionel Messi, but it does help players get the most out of their game. Go over and try Rob Marrs’s Xmas Quiz over at Left Back In The Changing Room? You might as well: it’s fiendishly difficult, and I reckon I can get about one answer in ten.The beauty of it is that the questions are skilfully crafted, and look and sound as though you should know the answers..
There’s a prize for the winner, incidentally. Who's in the new Header Image? The man on the far right needs no introduction to More Than Mind Games readers. Comments Off on Who's in the new Header Image? We seem to be entering upon an era of dirty play, and Glossop has the unenviable distinction of being concerned in the latest row. It occurred in the match between the Bolton Wanderers and Glossop, both of whom are striving for promotion to the Second League and are well in the running. No fewer than three players were sent off the field during the game, which was admittedly very vigorous indeed. Cuffe was the first sent off, and then a stand-up fight took place, with the result that Marsh and Hofton were ordered off. The referee was Mr. W. Gilgryst, and he reported the clubs to the Association, and also the players. He says, too, that the spectators were most rowdy and threatening during the greater part of the game. Mr. Gilgryst had to be escorted from the field to the dressing-room by the police and others, and was struck a severe blow from behind, the offender being taken in to custody. Furthermore, an official of the club was reported for using filthy language and for abusive conduct, while Bolton players complained of rough treatment. I am afraid there is serious trouble. That’s your man John Cameron again. If he’s being ghost-written, he keeps his intercessor busy in this period – in addition to this weekly column, there are his chapters in Association Football and the Men Who Made It and his own book Association Football and How to Play It . In fact, Glossop and Bolton were striving to get out of Division II: the Third Division (North) didn’t exist until 1919. Glossop were and are the smallest town to have boasted a league club. 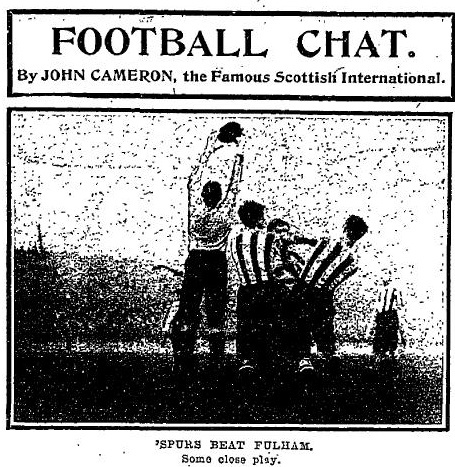 For them to be playing league football as late as 1908, by which time the club structure as we see it now and the bulk of the modern stadia were already in place, was a considerable achievement. The Bolton dust-up wasn’t as unusual as Cameron makes out. Crowd violence was a feature of the Edwardian game, and, as now, a phenomena that served to isolate the sport in the life of the nation. And although the Edwardian game was gentler and more subtle by far than that of only thirty years previously, it was still full of the rough stuff as Mitchell and Kenyon’s videos show. Public behaviour at all levels of society was hideously sobered by the Great War, after which reported crime rates fell out of the sky for 30 years. Most of that fall remains entirely mysterious, in my opinion, although Robert Roberts, chronicler of Salford, put it down in part to the dramatic improvement in slum area lifestyles after 1918. But Edwardian football violence is hard to put down to poverty, simply because League football just wasn’t for the poor: gate prices were kept artificially high to restrict entry to the “respectable working classes” and those with a certain level of disposable income. What Cameron’s reporting here is just blokes on a Saturday getting out of hand in a thoroughly competitive situation. Passie as the Dutch would call it. In Holland, football is a thinking man’s game. When the Dutch talk about it, the concepts to which they always return are ‘techniek’ and ‘tactiek‘. ‘Passie‘, or passion, was a quality they associated with unsophisticated footballers from other countries. In Korea, Hiddinck learnt that it was actually pretty important. Even when speaking Dutch, he tends to describe this quality with the English word ‘commitment’ , perhaps because there is no obvious Dutch equivalent. Here’s an astonishing Pathe lineup of – almost entirely – Victorian English streetscape. Because the bulk of this was shot in 1896-7, the camera was too bulky to manouvre but too new to be recognised for what it was, lending these scenes an intimacy, almost an anonymity, that Mitchell and Kenyon would neither seek nor enjoy four years later. I said yesterday (checks: no, make that earlier today) “whatever happened to Scottish football started happening in the mid-to-late seventies.” Here’s this to bear me out, from Harry Reid’s marvellous The Final Whistle? Our preferred weapon in 1974 was the work to rule. That eventually spilled into strikes when we could not contain our members’ justifiable anger any more. The strikes, while unprecedented, were not as prolonged as those that were to follow in the 1980s. The work-to-rule tactic was significant in that it concentrated on the teachers’ precise contractual obligations. At the beginning of the dispute there was a very strong linkage between your powerful grievance and confining your activities to the absolute minimum you were required to do in the working day. What happened as a result of the work-to-rule was that voluntary activity at the week-end, and that mainly involved schools football on Saturdays, more or less stopped. Then, when the grievance was eventually resolved, it was very difficult indeed to get teachers to resume their voluntary activities. They found that they enjoyed having their week-ends to themselves. They asked themselves the simple question: ‘Why should I bother?’ They thought: ‘I’m really enjoying my week-ends now.’ … The effect of this on schools football was seriously harmful, but I would not wish the teachers of the 1970s to be presented as the villains in your book. You must realize that their working day had become so crowded, so overburdened, that even when their pay grievance was removed, they quite understandably saw no need to resume extra-curricular activities. Football was without doubt the number one extra-curricular activity. So football indubitably suffered most. In the space of a few months, Saturday sport dwindled away, till it became not a mainstream activity but just the responsibility of a small number of enthusiasts. It did revive again, but the seeds had been sown. 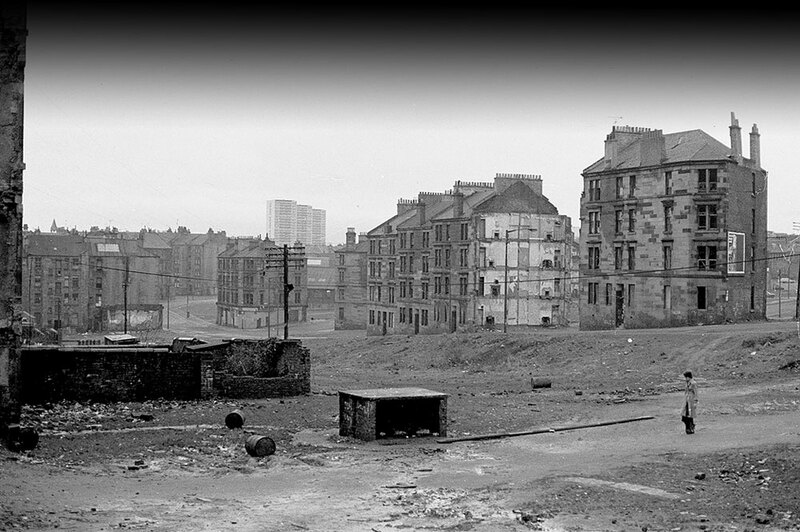 Schools football was never to be the same again, particularly in the great breeding grounds of Lanarkshire and Ayrshire, Glasgow and Fife. Teachers had this understandable sense of liberation, but the decline of schools football was disastrous. It was not just about producing great players. The not-so-good footballer played too, and while he might not go on to make his mark as a professional, he learned to understand and appreciate the game, and he might well go on to become a referee, or an official, or just a good, well-informed supporter. All that was lost. In other words, large contributions to the Scottish education system were coming gratis from volunteers in a way that had long since interfered with any life they might want outside the academy. Rather than blame teachers, you want to thank them for keeping it going for as long as they did. If a job’s worth doing properly, it’s worth paying for. And no, this is not, not by a long chalk, the only reason for the decline.